We provide industrial and commercial waste management solutions for businesses, local government agencies and departments. our services include bulk waste collection, hazardous waste removal, custom made skip bins and much more! Our strength is that we listen to our clients, establish their needs and use our expertise to discover and provide commercial waste management solutions that are cost effective, environmentally responsible and sustainable. We value the exploration of innovative methods for waste disposal which may result in greater benefits for the client and the environment. The plans are always realistic. We promise what we know we can deliver, avoiding disappointment or disruption for the client. 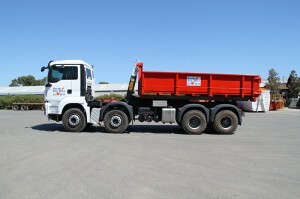 Perth Bin Hire prioritizes keeping a modern, well maintained fleet of trucks and equipment, which we believe is crucial in delivering on our commitment to providing reliable and efficient service. 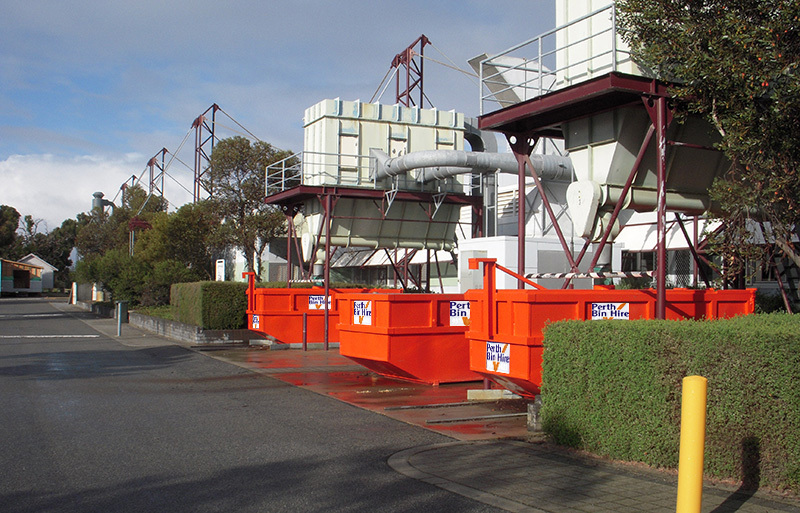 We have both systems to cater for varying commercial waste disposal needs. 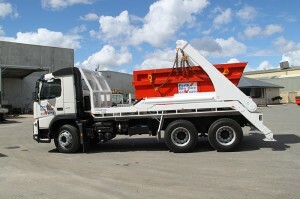 Our lift on system, also known as the swing-lift system, uses chains to literally lift skip bins on and off the truck. This may be preferable when placing bins on certain surfaces or for positioning. These skip bins have a rear drop down door which provides a ramp for easy wheelbarrow access. The lift-on skips are available in sizes ranging from 2 cubic metres to 10 cubic metres. They can be stacked allowing for more than one bin to be delivered at one time. 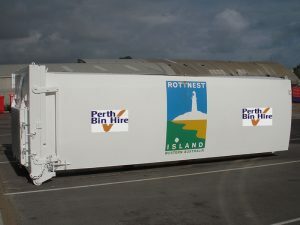 At Perth Bin Hire we can custom design compactors, bins or containers for commercial, industrial and local government contracts. We have done this very successfully for numerous clients. Another service we provide is reliable, cost effective transportation of waste products and recyclables using our truck and trailer system. 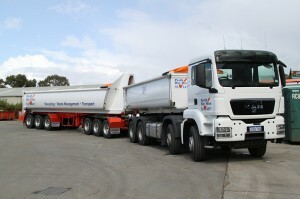 We have the capacity to transport up to 80 cubic metres at a time depending on the type of product. 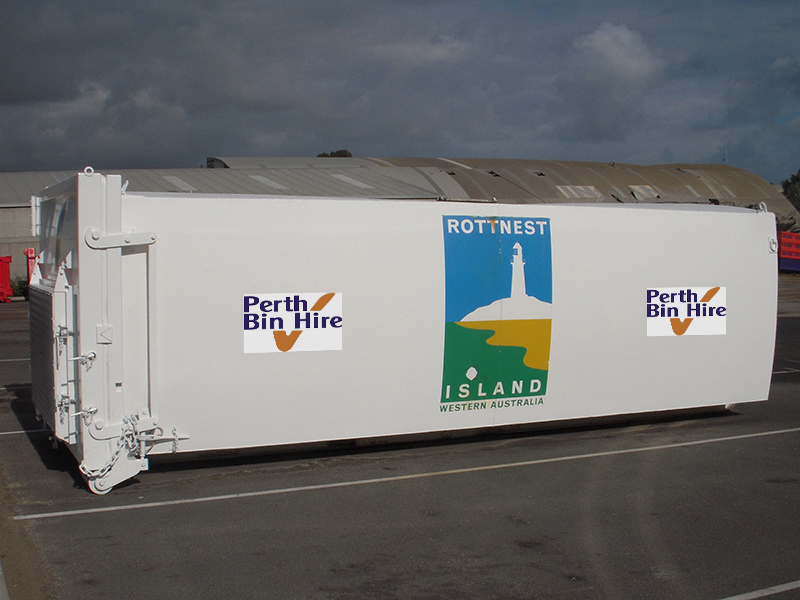 Perth Bin Hire is committed to the ideal of sustainability while never compromising efficiency and cost effectiveness of our service. We have two transfer stations, where the waste we pick up and other skip companies deliver, is sorted to extract recyclables. Our resource recovery rates are improving all the time as we invest in new technology. We have excellent relationships with existing recyclers to whom we deliver what we can’t process ourselves, but we are actually processing more and more of the material we recover on one of our own sites. This year we have embarked on a major glass recycling project, and are proudly processing and recycling over 60, 000 tonnes of glass per year. Click here to learn more about our commercial waste sustainability.